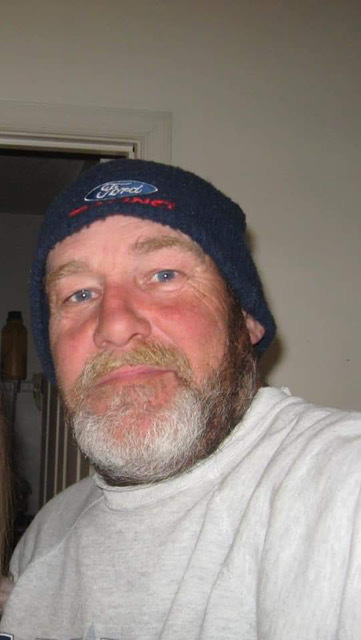 Daniel Michael O’Neil, 61, passed away January 26, 2019 at his home in Bakersville, NC with his wife of 20 years Christene O’Neil and family members at his side. He was born September 11, 1957, in Detroit, Michigan. After high school he enlisted in the Army for 4 years. After that his love of driving kept him busy selling meat of hauling items from one state to the other. Daniel had the ability to light up a room the minute he walked in, and could mimick accents and draw laughs by acting out a scene. He was fiercely loyal towards family and friends, and held deep connections with them. Daniel, you brought joy, love, and laughter to all our lives. Daniel is survived by his mother Janet Berry of Spruce Pine, NC; his daughter Kelly Little of Manitou Beach-Devils Lake, Michigan and two grandchildren Tamara and Sophie; stepchildren Larry and Terrie Page of Mesa, AZ, William Page of CA, Andrea and Jeffrey Scott of CA, Jackie Zumpano of CA, Heather and Matt Varallo of CA; sister Deborah Walker of Bronx, NY; brother Dave O’Neil of Maryland; brother Jason and sister-in-law Stephanie Berry of Burnsville, NC. He was preceded in death by his stepfather J Frank Berry. Per the wishes of Daniel there will not be any services. In lieu of flowers, please send donations in his name to Hospice of Yancey County at 856 Georges Fork Rd, Burnsville, NC 28714.